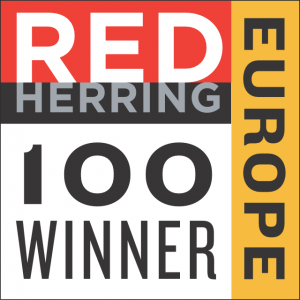 Last night, we won a Red Herring award, awarding our great technology and resulting business growth. We’re proud and humbled by this success. You can read the press release here. Video and computer vision were hot topics among the winners. The companies below all won an award. For each, video and image processing is centric to their product and success. ActLight is a technology licensing company that focuses on the field of CMOS photonics by developing new type photo detectors and improving photovoltaic energy harvesting technology, addressing applications such as gesture control for mobiles. Adways created a new and immersive online video format, especially well adapted to advertising, brand communication, drastically increasing engagement and monetization of the contents. Magisto developed an app that automatically turns your everyday videos and photos into beautifully edited movies, perfect for sharing. It’s free, quick, and easy. The app has been downloaded over 30 million times already. SoftKinetic delivers 3D vision solutions for PCs, portable electronics and machines. 3D vision is used in everything from gesture-control to context awareness. SoftKinetic’s products include depth sensors and gesture recognition middleware. VisionsConnected believes that video and unified communications will change the way people communicate. VisionsConnected delivers high-quality telepresence and video conferencing systems and services, fixed monthly fee from the cloud.